My son asked me if I had a nickname when I was growing up. I told him yes. When I played rugby I was called Joe Nose, usually accompanied by, “the Nose knows.” I broke my nose 9 times on the rugby pitch, so often that the last few times I had to push it back in place myself before it swelled and I had to go the doctor for rearrangement. Rugby players all have nicknames. I don’t know why. One guy we called IDK because whenever someone asked what his name was none of us knew. “I don’t know,” became IDK. In Open Wounds Cid calls Winston Arnolf Leftingsham, his cousin from England who comes to get him from the orphanage he is stuck in for five years, “Lefty.” Winston has no left arm or leg (the leg is a wooden replacement) and is badly scarred on the inside and out from mustard gas fighting at Ypres in the First World War. Cid never calls him “Lefty” to his face because… that would be wrong. But the nickname sticks. My son has had some nicknames so far, like Maximum Max, Maximo, and Maximillion, but nothing that has stuck yet like Lefty or The Nose or IDK. I hope he gets a good one. They’re good for character and myth building. 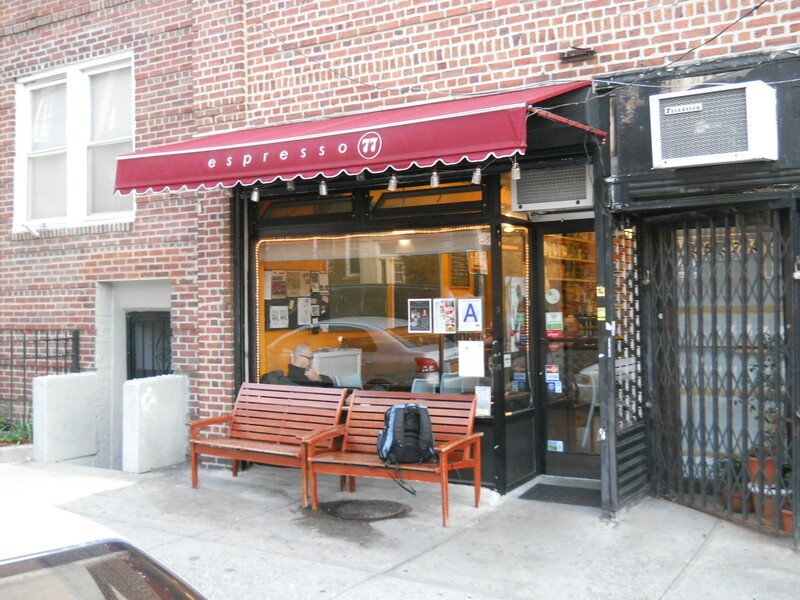 In case I forget later, I’ll be at Espresso 77 in my neighborhood on Sunday evening 7-8pm reading and talking about Open Wounds. 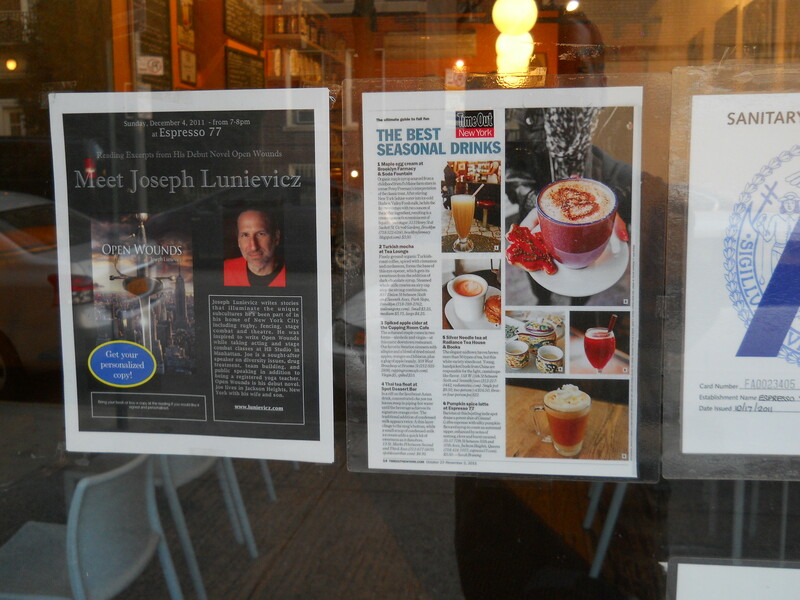 If you’re in Jackson Heights, Queens, come on by and have a latte with me and talk books. This entry was posted on December 2, 2011 by Joe Lunievicz. It was filed under Blog, Espresso 77, Events, Events, Open Wounds, Reading, Rugby . Here are some nicknames I’ve had in the past: Big Bird, Shitspeare Shoehorn, Mesker, Ratt, Heavy Hand McGee, hmm … I’m sure there are more but that’s all that comes to mind. Those are all slightly derogatory, but in a fun way, like all great nicknames. I’m sure Max will end up with a great one. For now I’m calling him The Director (said with gravitas). He will love that. I’ll tell him when he wakes up. I bet he smiles big-time.